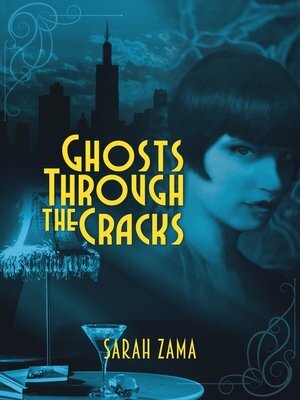 EVEN IN SPARKLING JAZZ AGE CHICAGO, SPIRITS CAN TRICK YOU INTO BELIEVING THEY'RE MENWhen Susie comes to Jazz Age America, she knows her life will change. Back in China, spirits mingle in the mists of the rice fields and trick humans into believing they're men so to steal their soul, and the expectations of a daughter are unimportant and ignore. Here in Chicago, Simon gives her the carefree life of the New American Woman, the freedom to dress daringly and do things once only reserved for men—drinking, smoking and dancing with strangers. It's an exciting life and she considers the loyalty Simon demands of her a small price to pay.Until she meets Blood.Blood lets Susie speak her mind and listen to her heart. He commits himself to her and asks nothing in return. Through his eyes, Susie begins to see her loyalty to Simon as the bars around her "freedom". But she knows Simon will never let her go.Here in Chicago spirits can mingle in the smoke and jazz of speakeasies and trick humans into believing they're men. They can still steal their soul. And if Susie doesn't see the spirit behind the mask of the men fighting for her, she might lose much more than her freedom.